Philadelphia and Pittsburgh have always been famous for antiques and handicrafts. 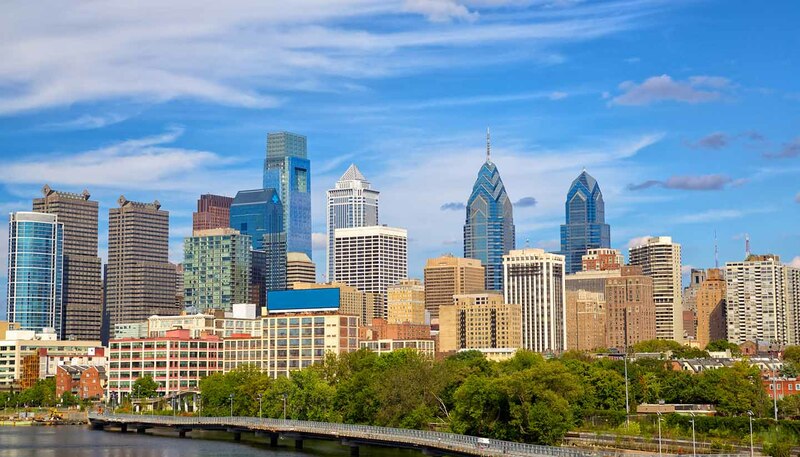 The main shopping areas in Philadelphia include the Bourse at Independence Mall, Head House Square and New Market. The second-largest shopping complex in the USA, The Plaza & The Court at King of Prussia lies to the north of the city. For budget shoppers, Franklin Mills (just outside Philadelphia), Grove City (north of Pittsburgh) and Reading have hundreds of factory outlets, offering the chance to pick up brand names at reduced prices. In addition, there is no sales tax on clothing and shoes in Pennsylvania. Antiques buffs should stop in Adamstown (www.antiquescapital.com), where over 5,000 dealers display their wares every Sunday. There are numerous dinner theatres, nightclubs, jazz clubs and international entertainment throughout Pennsylvania's towns and cities. Cities like Philadelphia and Pittsburgh have some of the best nightlife places in the state.